Designed to remove excess moisture from your home quietly and efficienly. 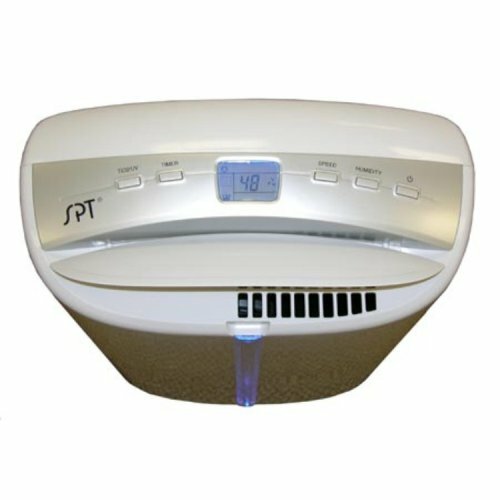 A necessity for those suffering from dust mite, allergies or for those who wants to keep their indoor humidity level between 50 to 70%. Air that is too damp can cause itchy skin and nasal passages, condensation on windows, water damage to materials, mold growth and rotting of wood materials in your home. 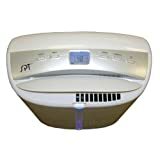 SPT dehumidifiers remove moisture from the musty air so you can enjoy year-round comfort in your home or office. Features an attractive water indicator light that changes from blue to red when tank is full and UV light to sanitize the room by eliminating germs and bacteria.